Industrial hoppers are used to store and dispense a range of materials, including asphalt and cement. Often, these are not properly maintained. This can cause them to become blocked and eventually stop the equipment from working altogether. 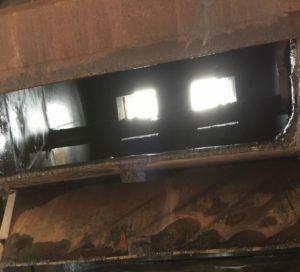 Hydroblast were recently tasked with cleaning an industrial hopper which had been blocked with asphalt for 9 years. If our team hadn’t stepped in, the business would have been required to dismantle and scrap it at great expense. However, cleaning the hopper wouldn’t be easy. Its structure meant that we wouldn’t be able to use a method such as man-entry, and our conventional robotic set-ups wouldn’t have been suitable. Instead, we needed to think of a new and innovative solution to achieve the best results for the client. 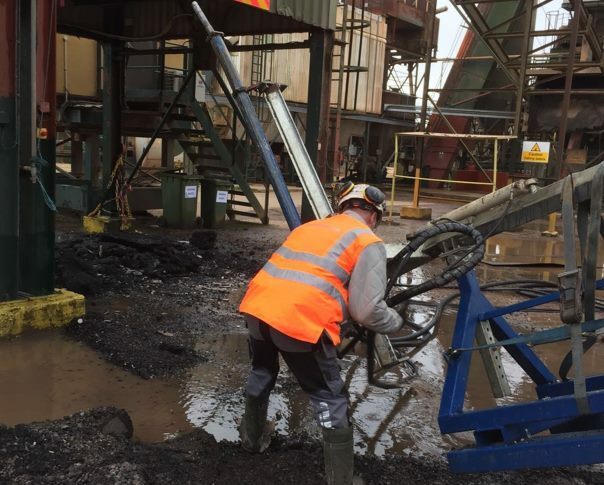 Taking inspiration from a North American company that had used an oil drill pipe as a long lance, we adapted our own equipment to come up with a safe and CE approved solution that minimised the risk of injury. Our team used an adapted robot parapet beam; alongside a bespoke carrier, a JCB handler and our Aquajet 410 Evolution robot. The Aquajet was an essential part of the operation, and allowed us to control the direction of the long cannon to remove the blockage. We were able to move the water jet in whichever direction required by using its advanced remote-control technology. 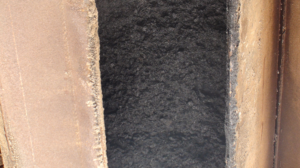 Compared to other cleaning methods, high-pressure water jetting was able to prevent any damage to the asphalt hopper. Our versatile and accurate robots, paired with the expertise of our operatives, meant that we could achieve an efficient and consistent clean without causing any damage to its structure. The client was so impressed with our method and the quality of our service that we were invited back to clean another hopper. Our equipment and expertise meant that we were able to finish the job in just one day. This minimised disruption for the client. 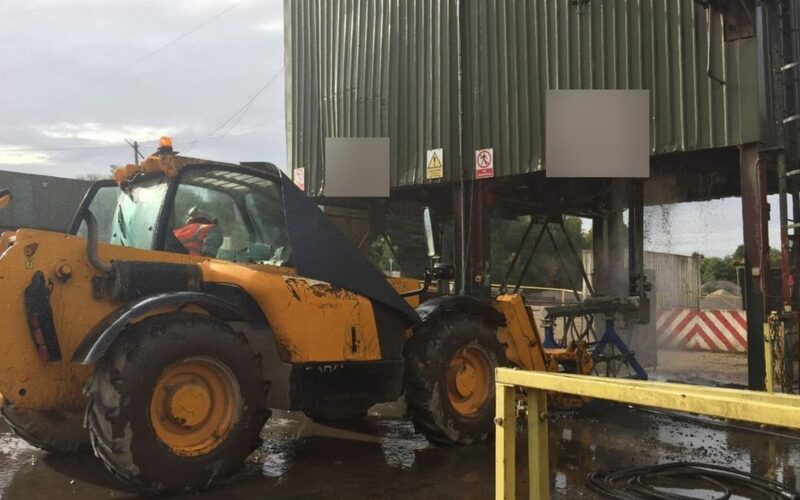 We were able to adapt our equipment to effectively clean the hopper and remove the blockage, whilst still remaining compliant with safety regulations. Our water jetting method is also environmentally-friendly, and we were able to remove excess waste water after completing the cleaning process to reduce our impact. Hydroblast are able to clean a variety of cement and asphalt industrial hoppers. If you would like to learn more about any of our high pressure water jetting services, please don’t hesitate to enquire today.